Many families are forced to deal with difficult questions sometimes, including death and divorce. As hard as it can be to deal with these as an adult, children face a set of issues that are unique to them, oftentimes including understanding what happened in the first place and what it means. Support can come in many forms, but one of my favorite places to help children work through traumatic events is books. There are some excellent books you can read with your children to help answer tough questions and give some great insight into healing through these challenging times. The following books are great resources for parents who have the tough job of explaining death to a young one. Lifetimes: The beautiful way to explain death to children — This book describes death of all living things. I especially like it for the death of a pet. The only criticism I have for it is that the author limits a lifespan of humans to 60 to 70 years. Many children may have great grandparents older than this. Some children may get nervous that a grandparent or great grandparent is about to die when that is not the case at all. I Miss You — This book is more appropriate for helping children deal with the loss of a loved one. I really like how this book explains and normalizes the sometimes strong emotions and feelings that can overwhelm us after losing someone we hold dear. It also opens the door to have a conversation about your family’s specific cultural or religious beliefs about death. What Happens When We Die? — Whether dealing with the loss of a pet or a loved one, this book explains death and the afterlife from a Christian perspective. Even if your child is just starting to ask questions about death this book is a great resource to answer those tough questions. What About the Kids? Understanding Their Needs in Funeral Planning & Services — From infants and toddlers to teenagers, this book gives excellent ideas on how to involve children in the funeral planning and services. It gives great advice on supporting them before, during, and after the funeral. 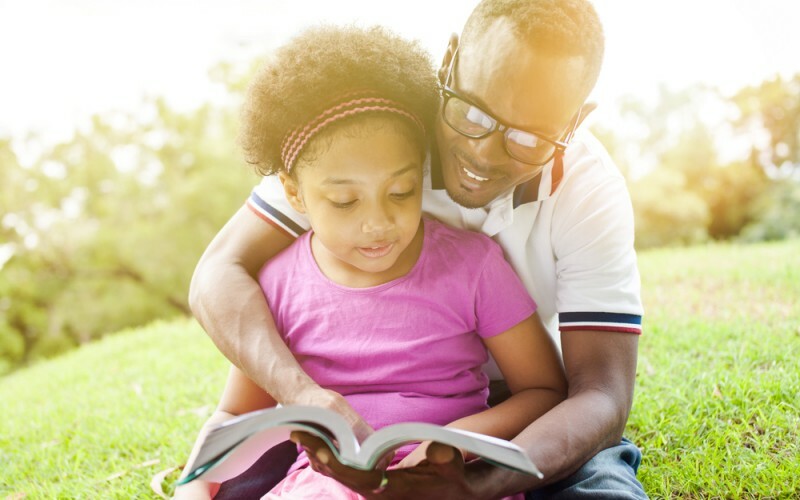 If your family is going through or contemplating divorce reading the following books with your children can help them deal with the challenging issues that come with it. Dinosaurs Divorce — This book covers events from before, during, and after the divorce. There is even a section on “divorce words,” more applicable for older children. It also talks about having two homes and possibly one day a step-family. I suggest reading just the section that applies to your family’s stage so as to not confuse or overwhelm your child. Two Homes — Starting with separation and then onto divorce, this book provides a more positive, matter-of-fact description. It emphasizes that, no matter what, there is a lot of love, even if mom and dad no longer live together. When My Parents Forgot How to be Friends — An unfortunate prelude to divorce can be a lot of arguing between parents. This can be very confusing for a child to witness. This book helps children understand that they are in no way responsible for the fighting or actions of their parents. My Family’s Changing — From the same author as I Miss You, above, this book helps children deal with the confusing feelings that come when a family breaks up. There are many opportunities for children to talk and express their own feelings and experiences. Books can be a great way to help your children deal with a death or divorce. You can find books aimed at children of different ages and faith traditions.